Section 114A of the Evidence Act was passed by Parliament in May this year and came into effect Aug 1. Some people feel the new section was just the government's excuse of trying to suppress Internet freedom but many are of the view that it is needed to force some accountability and responsibility online. Mohd Najib Tun Razak ‏@NajibRazakI have asked Cabinet to discuss section 114A of the Evidence Act 1950. Whatever we do we must put people first . To the Stop 114A group, it was very tweet of the Prime Minister, indeed! Read Malaysiakini's Evidence Act review another Najib flip-flop and PM bows to pressure ...). Najib's detractors want us to remember what flip-flopping did to the PM's predecessor! Even though Najib didn't say his government was going to review 114A - he merely said that he had asked today's Cabinet to discuss it - his detractors are already celebrating! To me, the point to consider is very simple: Parliament, the country's highest executive body comprising representatives elected by the people, had passed section 114A. I'm sure the MPs debated the Bill and I'm quite sure they all "put people first" when they voted it in. Najib's government must respect that and let the democratic process takes its due course. Put the new law to test. Sometimes we forget, the Internet is not inhibited only by us and our kids and our neighbours and people with good intentions. The social media and the blogs are infested with millions of strange people and strange behaviors, with crooks, pedos, cons, and even mass murderers. I believe, as I'd written on my very first tweet on the subject, that if you are not guilty of an offence, there is nothing to fear the 114A or, for that matter, any law that men have passed. The right to freedom of speech and expression is well entrenched in our Federal Constitution, thus providing every citizen the liberty to speak their mind express their thought. Nevertheless, the right to do so is not an absolute one. 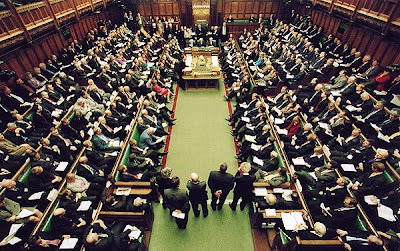 Parliament may by law impose restrictions on the right if it deems necessary or expedient to do so in the interest of the security of the Federation or any part of it, friendly relations with other countries, public order or morality. Restrictions may also be imposed to protect the privileges of Parliament or of any Legislative Assembly or to provide against contempt of court, or incitement of any offense. Dissenting voices and opinions by citizens and organizations alike have never been curbed so long as they are expressed within the parameter allowed by law. Freedom of speech and expression is thriving both in the print and in cyberspace and especially so in recent times, an indication of the workings of democracy in this country. Towards the end of the 20th century, Malaysia embarked on the journey towards the digital age. Citizens became more IT-savvy and the use if IT devices became prevalent especially in urban areas. Mass communication via cyberspace became the norm. Blogs, websites and online social media became the media of communication. Where once writings need to be typed, writings are now written and posted and easily circulated within seconds. Where once writings were confined to those in the journalism profession, now anyone can write anything, be it in their own blogs and websites or provide comments to the writings of others. In the midst of the new technological landscape, writers become bolder as cyberspace provides them the veil to anonymity. Writings are penned and posted under pseudonyms. Comments are easily made to the writings of others and more often than not, without being mindful of the laws that apply to the exercise of the right t freedom of speech and expression, whether out of ignorance or otherwise. In the light of the new development resulting in new ways of commission of offenses, many laws have been enacted and existing laws amended to keep up with the technological advancement. Section 114A is and example if an amendment to the law are to keep up with cyberspace offenders. # Section 114A is not intended to curb the freedom of speech and expression of citizens. # Section 114A does not make a person guilty until proven innocent. The legal notion that a person is innocent until proven guilty is and has always been upheld in this country. Section 114A is merely a statutory presumption which was provided to facilitate the prosecution of offenders in cyberspace. 1. The presumption of dishonesty under section 409B of the Penal Code. 3. The presumption of trafficking under section 37 of the Dangerous Drugs Act 1952. A statutory presumption works to presume a certain fact until proven to the contrary. The burden of proving a certain factor to the contrary is shifted to the party who would be in a better position to do so i.e. the party who has control of knowledge of the fact. Owners, hosts, administrators, editors or sub-editors of websites or social media accounts are deemed responsible for any content that has been published or re-published on their website whether by themselves, persons impersonating them or any other persons; subscribers or a network service which was used to publish or re-publish any content are deemed responsible for the publications; and owners or individuals in custody of an electronic device that was used to publish or re-piublish any content are deemed responsible for the publication. Section 114A provisions reflect the responsibility that owners, hosts, administrators, editors or sub-editors of websites of social media accounts, subscribers of a network service and owners or individuals in custody of an electronic device should bear in respect of any writings on the blogs, website and social media account for which they have control. They have to be responsible for the proper use of their blogs, websites or social media account, either by themselves or by others whom they have allowed access to. They should exercise full control over the publications of writings in their blogs and websites and over who can access their social media online account. They should understand that the use, or rather the misuse, of any blogs, websites, accounts or devices can cause great harm and thus they should take even greater care to prevent them from being misused, especially by others. This responsibility is nothing new. The same responsibility is borne by publishers in the real, physical world. They have to be responsible for what they publish and they should be ready to face any consequences should there be an infringement of the law in the publication. However, unlike the physical world where it is very easy to identify the publisher, the same cannot be said of publishers in cyberspace. Thus, the need to have provisions like section 114A. It is also pertinent to note that statutory presumptions cannot be applied arbitrarily. Firstly, before the presumption is applicable, the prosecution needs to prove primary facts, failing which the presumption is not applicable. Secondly, the presumption is a rebuttable presumption, meaning that the person against whom the presumption is applied may adduce evidence to rebut the presumption. If he for any reason whosoever chooses not to do so, then the presumption is deemed to be proved. However, if he does adduce evidence towards that end, the court shall consider whether, on a balance of probabilities, the evidence adduced has rebutted the presumption. There should not be any fear of statutory presumption if one is not guilty of an offense. It is also to be noted that section 114A is not only confined to the proving of criminal offenses. It is equally applicable to civil suits in particular defamation suits involving virtual publication. The new section will therefore facilitate a plaintiff to prove the publication of a defamatory statement made online. Laws are never hurried and passed in Parliament. Any proposed amendment to the law or law reform is discussed thoroughly with proper consultation carried out with those involved in the administration of justice such as the Royal Malaysian Police, Bar Council, Suhakam, and other relevant agencies before it is presented and debated in the Parliament. Section 114A does not suppress freedom of speech and expression, especially dissenting voices against the ruling government of the day. The government has always embraced the fact that dissenting voices and opinions are part and parcel of a healthy democratic system. The purpose of the new section is to protect the public and the government alike from false, defamatory and seditious information which are threats not only to an individual's rights but also to nation interest and security. Kalau kau takut dgn tanggungjawab jadi bapak. Main pakai condom. Kalau tak, main pancut luar. Lagi bagus jangan main! Sama jugak org2 yg takut sgt kalau org komen melampau yg susahkan dia. Kalau masalah sbb nk kene teliti setiap komen, then jgn bukak la blog. even bagus, jgn buat status panas dlm FB. takde status panas, takde le org komen yg perlu kita risau. "Kalau itu punya punya senang pun kau bodoh. mmg patut la internet tu diharamkan dari kau..."
Good thing the law is being reviewed. Otherwise they'll be more 'sjsandteam' for Pakatan Rakyat leaders. I'm sure the MPs debated the Bill and I'm quite sure they all "put people first" when they voted it in. - and so Rocky says. Let me put it bluntly - the Parliament, for now consists of mindless MPs that are very quick to praise but always shy to dissent. If they indeed represented the people surely there must have been at least 5-10 that dissented when the debate was in motion, was there any? There must be some MPs that saw feedback from the not so little group of rakyat who opposed this. Or are we living in a world where BN MPs constituents are 100% supporting the bill and all those opposing rakyats are only living at the Pakatan represented areas? Just look at the silence of the BN tweeterers after the tweet from PM Najib yesterday. I think by tomorrow everyone will be singing to a different tune depending on Najib's direction. Those who opposes 114A, their action speaks otherwise. They will use this excuse to grab land. Simple. Get the PKR thugs to commit open burning and the owner's land, and voila! The state gov got itself land for free and can sell it to cronies for bargain. how about major accountability, responsibility and transparency in the Gomen?? Problem with 114A is that the AG chambers should have clearly explained it to the public, and not wait for Pakatan and their side kick like the Bar Council to come up with all sort of nonsense scenario without giving any rebuttal. The point is if we do not do anything wrong we need not fear any law at all. This reminds me of the hijacking of Lynas Gebeng by fear mongering Pakatan for political mileage all over again. Gomen standing by as Opposition and their ilks wreck havoc on the internet this time. I hope PM Najib has the conviction to stand up to the Laws that has been passed in Parliament by representatives of the PEOPLE under his watch as PM. rocky -- the first people to start invoking the law won't be the government under najib.. it wil be Lim Guan Eng and Anwar Ibrahim and their ilk. They'll be the ones to use theis pieve of law to the max, and if they become government, they'll use it. apasal bodoh sangat koemn2 ni -- Parlimen kan dah ramai dah orang pakatan -- kenapa tak oppose? 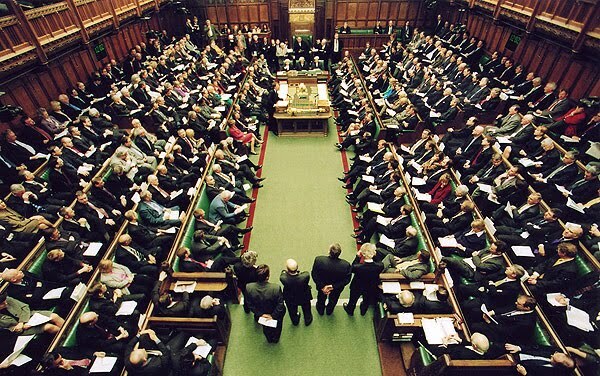 I AM SURE PARLIAMENT DEBATES ANY REVIEWS OR AMENDMENTS TO EXISTING LAWS TO KEEP UP WITH THE TIMES. IN MALAYSIA, ESPECIALLY WITH REGARDS TO THE PRINTED MEDIA AND ESPECIALLY THOSE MAJORITY OWNED BY THE COMPONENT PARTIES, DO THE APPROPRIATE LAWS APPLY TO THEM? WHATEVER VENOM THEY SPEW IN INK, ARE THEY SUBJECT TO THE LAW OF THE LAND OR THE LAW AS THEY SEE FIT-THE UNWRITTEN LAW OF BN! IF SOMEONE HACKS INTO MY BLOG/WEBSITE AND TYPES UTTER NONSENSE WHICH MAY BE DEFAMATORY....IS THAT MY FAULT TOO THAT I COULD NOT HACK PROOF MY WEBSITE/BLOG? EASY TO SAY, INNOCENT UNTIL PROVEN GUILTY OR VICE VERCA. IF REALLY IT IS THE CASE OF PUTTING THE RAKYAT FIRST, THIS IS A VERY BAD EXAMPLE!! WHEN EVEN SOME OF THE FAIR MINDED IN BN DARE NOT SPEAK OUT, IT IS SAD FOR THE DEMOCRATIC PROCESS IN MALAYSIA. TIME TO BOOT OUT DECADES OF MISRULE AND MISMANAGEMENT! everything have limits.accountability, responsibility and transparency. would you allow your daughter to wear transparent clothing? why not? you want transparency is'nt it? an apolitical view of 114a, in my opinion.